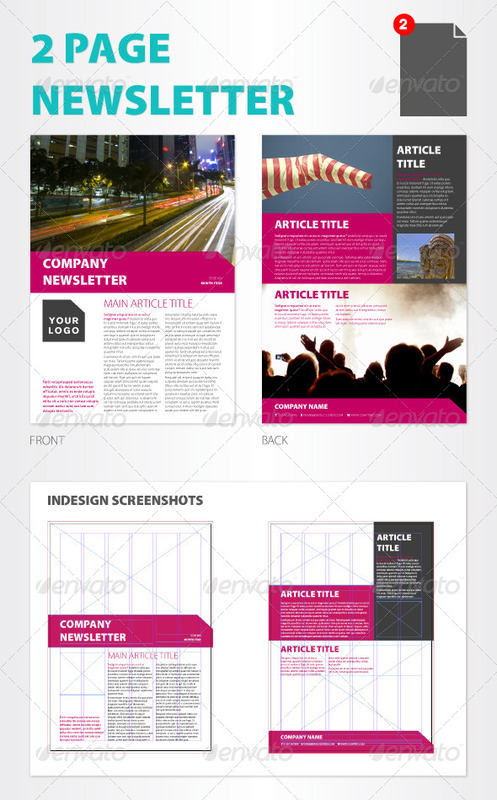 A versatile, modern newsletter template with a clean, fresh layout that offers a choice of 2, 4 and 6 A4 page layouts. 3, print-ready InDesign files – set up with 3mm bleed and CMYK swatches – just add text and high res images. There are also 3 identical IDML files supplied (InDesign Markup format) for older versions of InDesign. Only high quality free fonts are used – Aller and Cleanvertising. A total of 15 paragraph styles and 2 character styles are included and the elements on each page are aligned to a simple grid structure for easy editing. The highlight colour can be easily changed by amending the labelled swatch – you can change it to any colour you like. If there are any features you would like to see added to this template just let me know and i’ll see what I can do. And if you do purchase this item, please don’t forget to rate it – thanks!